Pretty much in love with Eddie and his new cookbook: Toss Your Own Salad. His gorgeous + easy Summer Mac n Cheese: Herbed Orzo with Feta and Figs is my recipe pic for week 38. Cheers to a late Summer plate. Eat it hot or cold. Having fun with food will never get old. Each #SettheTable2017 post begins with a featured recipe(s) + upcoming week's game plan followed by a picture diary of last week's chaos. I sign off every post with a handy reference list of my favorite foodie articles. 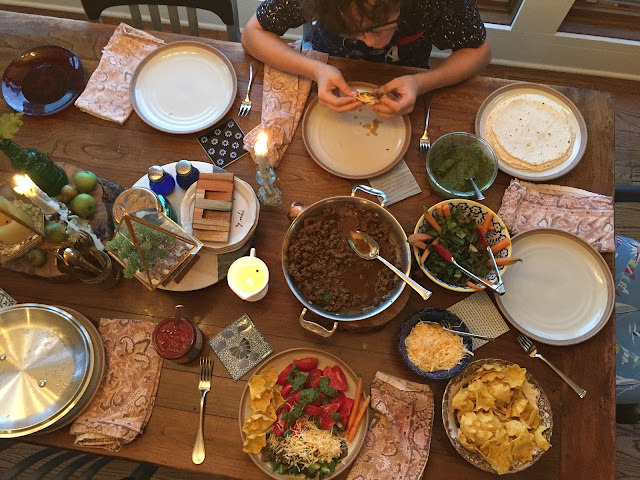 #CatchmyGrit on my Instagram throughout the week to capture the fun, the food and the family table reactions (good and bad). C'est la vie, I selfy-ishly light it UP in pics and videos to keep truckin! New to this series? Here's the STORY behind my #SettheTable2017 food adventures with Pure Barre Kildeer. I loved having a "time out" and some freedom from meal planning last week. I actually cooked one more day than the last week. Not sure what I'm onto, but let's keep this going! Fish, pasta and lots of greens. How about this crazy awesome Food education lesson around pizza from Pilot Light Chefs!? What an amazing way to teach Common Core Curriculum through FOOD! I really enjoyed gathering downtown with other Advisory Board members on Thursday and had to share how we played with our pizzas. We made ours out of ricotta, parm, figs, basil, and prosciutto! We named it the Gy-eeza (A Gyro + pizza. Ha!) I've GOT to bring this home to my eaters! I'll be headed to the Fulton Market Harvest Festival next weekend (I cannot wait to have BRUNCH with Aaron Sanchez!!! Come join me at this event next Saturday morning and find other amazing foodie events here). Have you heard about the annual Pilot Light Chef's Feed Your Mind Gala on Nov 3rd? I'll be there too! Come join me at the table and let's raise the roof together for Chicagoland food education! Had a wonderful time with Willow Wood Preschool Play, Learn, Grow Event today with ambassador teammates Christina, Sara, and our kids! We taught around 75 kids and parents how to make their own honey mustard jam jar dressing. It's always amazing to see how the children of all ages will eat their vege with this awesome dip. Shake up in a small jam jar and enjoy with fresh cut vege. This is also a great recipe for a simple chicken and fish marinade! Add fresh garlic and herbs to make it your own! Chris found this special Lake County High School Sports Hall of Fame signed basketball covered in dust in my closet the other day. He surprised me and brought home this special glass case for it. I can't believe I'm old enough to be in a Hall of Fame. Sheesh. Don't blink and keep dribbling (just not with this ball). Will the Gut-Brain Connection Revolutionize Wellness? 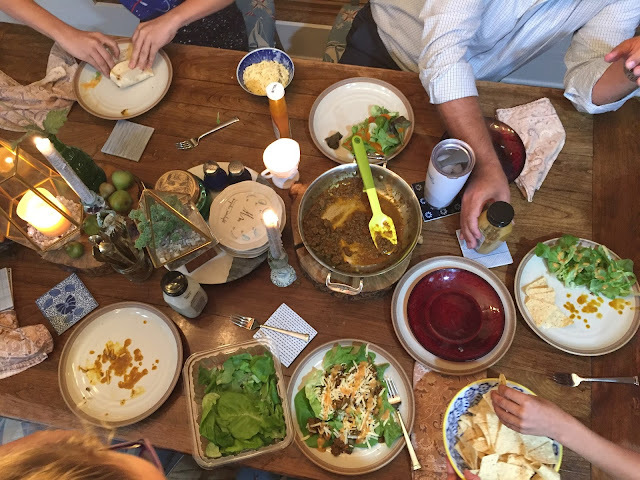 Come to the table - Join Slow Food USA! Stay on TOP of the Global Food Revolution Newsfeed. Robyn O'Brien: Why Our Food Is Making Us Sick. Kimbal Musk Wants to Reengineer the American Stomach | Why Food is the New Internet. Buy Antibiotic Free and Know the Source of Your Family's Meat. The EWG "Clean Fifteen + Dirty Dozen produce guidelines helps you save money + reduce the pesticides and herbicides = Antibiotics harmful to our gut microbiome + mycobiome. Avoid artificial colors and preservatives to keep your gut, your "second brain" happy + healthy. Why, When and How to Eat Wheat. Why do Some People do well as Vegans and Vegetarians (Clues from the Magical World of Genetics). OOOOPS. Life got so busy this Spring and Summer, that I forgot to post this incredible recap of our Condell Cooks for Life event! Thank you Advocate Condell Medical Center Public Affairs team for hosting and organizing this incredible community gathering on Monday, May 8th. It was a SOLD OUT, inspiring success! The Lake County Food Revolution is honored and proud to partner with the like-minded to help inspire fun, practical food education in our homes, schools, workplaces and community! It was so FUN to plan this first time event with the hospital's PA team! Our local Food Rev team is a part of the global Food Revolution Community, led by head campaigner, Chef Jamie Oliver, whose aim is to inspire every generation to get cooking more often around good, clean food and to improve nutrition policy combatting childhood obesity. The planning of this event was inspired by my visit last year to Amsterdam with Chef Terri Salminen who hosted a Food Revolution Day Cooking event with an army of chefs and bloggers at Fifteen Restaurant - All of whom volunteered their time to inspire the participants to cook for life! Go back in time to watch this incredible pop up cooking event here. I just can't stop looking back at all the pictures! Thank you Prairie Wind Family Farm, Chef Lee Kuebler (Milwalky Trace + Milwalky Taco), Chef Robert Collins (Youthage Culinary), Chef John Durning (Pizzeria DeVille), Chef Aleks Semova (Prairie Farm Corps), and Chef Shulames Rouzaud (Pilot Light Chefs Organization) for WOWING over 200 guests with their own take of a Food Revolution recipe and passing down their tips, tricks and cooking skills to the participants. Find all of the 17 Food Revolution recipes here. Each chef utilized fresh Spring produce ingredients from Prairie Wind Family Farm who sold fresh, organic spring produce + a very special Food Revolution inspired meal kit "Asparagus Soldiers." Last but not least, PLEASE SHARE your experiences in the kitchen me, Advocate Condell and the Lake County Food Revolution team over social media! Use the hashtags #CondellCooksforLife + #FoodRevolution on Facebook, Instagram and Twitter. SHOW OFF your home plate with us! 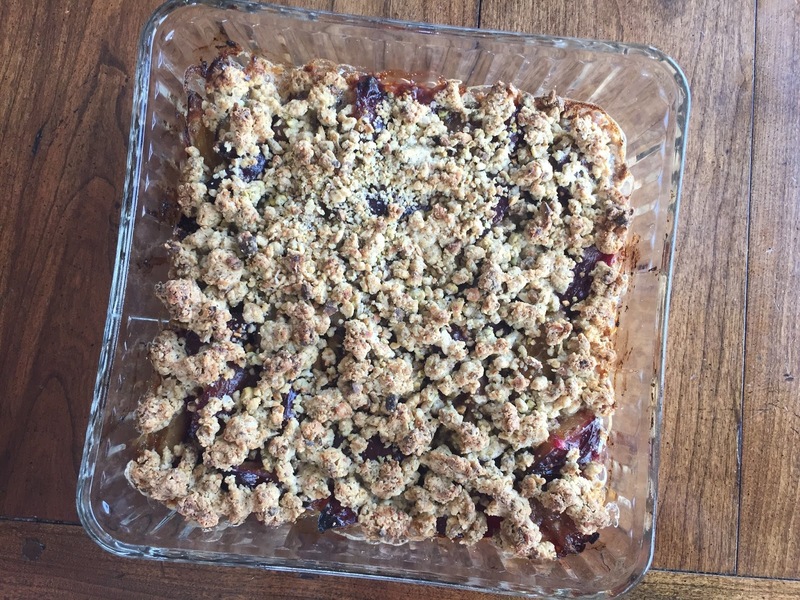 Inspired by Ina Garten's Plum Tart found here. *Making and eating this tart with Faith Ann while tailgating 100% helped Northwestern Football beat Bowling Green yesterday (which unfortunately does not have any green in it's school colors) because I pounded the green pistachios and the shredded the green pear to oblivion and beyond. Or maybe it was because we just had "faith" in the purple house... lol. 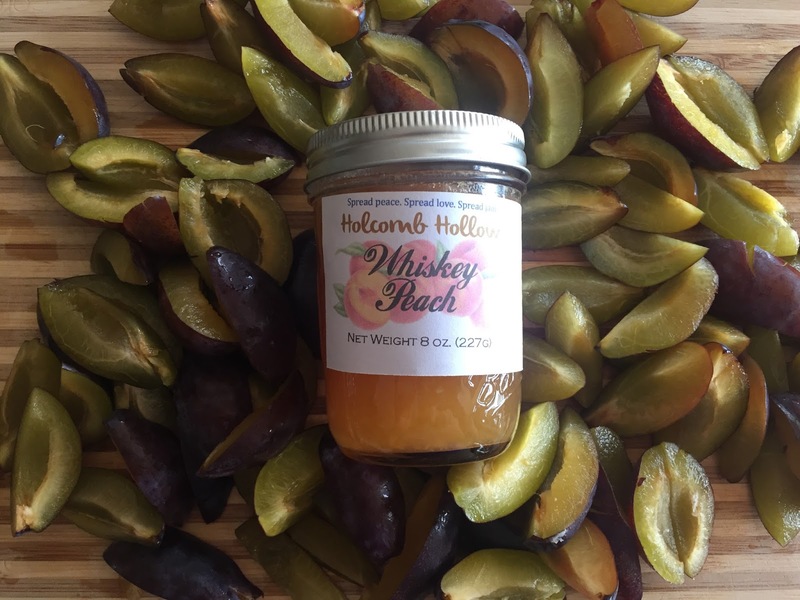 3 Tbsp Whiskey Peach preserves (Holcomb Hollow) *Use any flavor preserves - be creative! Preheat oven to 400 degrees. You'll need a glass baking pan, springform pan, pie dish or tart pan. Two large bowls and a few large spoons or spatulas. Crust prep: Place all dry curst ingredients in a large bowl. Using clean hands rub, the butter into the dry mix until you get a course bread crumb like consistency (or pulse ingredients together in a food processor until crumb consistency is reached). Mix in egg until fully incorporated. Press 1.5 cups of mixture into the bottom of your baking pan (and up the sides if you'd like). Tip: If it is warm in the kitchen, put the bowl in the fridge to keep the butter cold and and the mixture crumbly. Filling prep: Place all filling ingredients into a large bowl and mix thoroughly. Pour into the prepared "crusted" baking pan. Top with the rest of the crumbly crust. Bake for 35-40 minutes or until crust is beginning to brown and insides are bubbly. Let cool a bit and serve with the best quality vanilla ice cream you can find! Store in fridge and reheat for a great breakfast, snack or dessert! I pounded these in a zip lock baggie first. WE WON WE WON WE WON!!!! GO NORTHWESTERN GO!!!!!!! TIME OUT ON THE FIELD. It was so fun hosting our Florida friends who came up to get away from Irma for awhile. "Make your own Pasta" night was a hooting success and Kimberly Snyder's Pineapple Coconut Smoothie was loved by all. Here's how I made mine and it served up 6 jam jars! Blend in a high speed blender (I use a Vitamix) until smooth and garnish with a strawberry or two! The leftover soffritto pasta topping went on my nachos the next day... oh yea! And you must check out Jules Aron! I adore her Zen and Tonic cocktails book (found on sale at the Elawa Farmer's Market a few weeks ago - lucky me!) and hope to make every single lovely drink someday (in my dreams).